Mart tool Key Programmer for Landrover Jaguar KVM keys add and all keys lost programming. It is designed to add new keys and program new keys when all keys lost for Land rover and Jaguar KVM keys with Number FK72 HPLA. 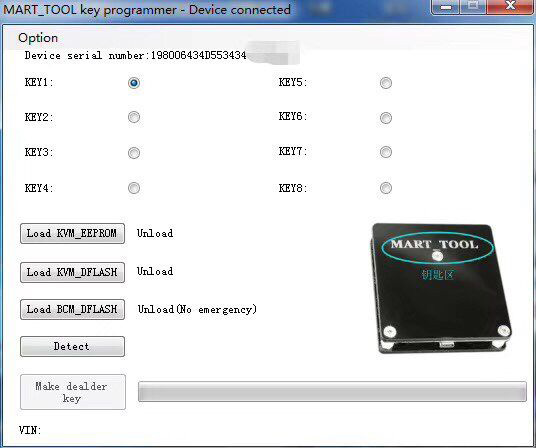 Mart tool Key Programmer for KVM keys add and all keys lost programming. It is designed to add new keys and program new keys when all keys lost For KVM keys with Number FK72 HPLA. Mart tool is designed to add new keys and program new keys when all keys lost KVM keys with Number FK72 HPLA. Supports 2015-2018 new LR Freelander.